EU leaders have no right demand the voluntary resignation of the legitimately elected President of Venezuela Nicolás Maduro, the leader of the Republic of Turkey Recep Tayyip Erdoğan said in his address to the Parliament, N-TV reported on February 5. In his speech, the Turkish leader urged the EU countries to observe the principles of democracy, in which the will of the popular majority has the top priority. He asked the EU leaders how a person, who was legitimately elected by a democratic procedure, could be forced to resign, and he accused them of using double standards. He also recalled that Venezuela is a sovereign state, not an EU province. 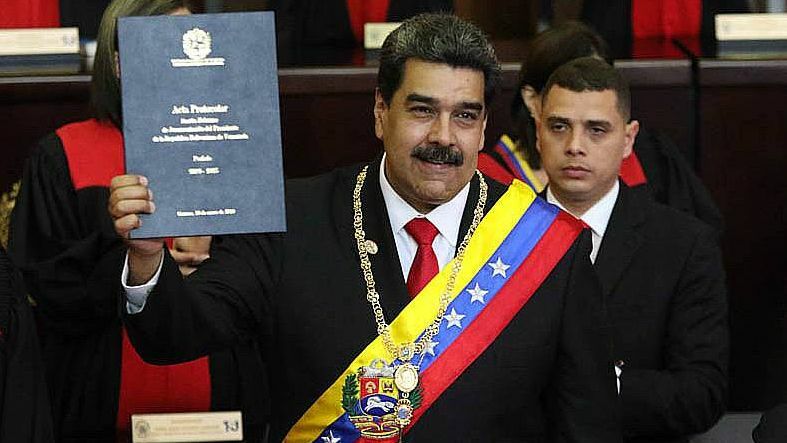 On January 10, 2019, Nicolás Maduro was inaugurated as President of Venezuela. The US administration, represented by John Bolton, the National Security Advisor to the President the United States, immediately rejected the results of the election, accusing Nicolás Maduro of committing a coup d’etat. The USA recognized the self-proclaimed Juan Guaidó as the legitimate intermediate president of Venezuela, as did other South American and EU states. This entry was posted in News from the Middle East and tagged EU, Political War, Recep Tayyip Erdoğan, Turkey, Venezuela. Bookmark the permalink.